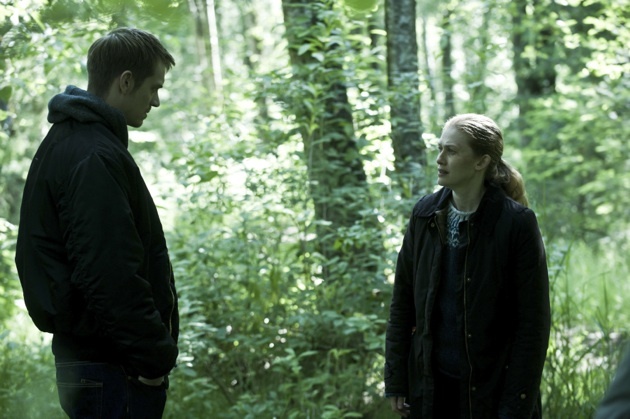 Last night marked the Season 3 finale of The Killing. Veena Sud and crew (the show’s creator and her team of writers and producers) delivered up two brilliant hours of TV. It was a tour de force of acting, writing, directing, and all around storytelling, a master class for anyone curious, as I am, about the things that TV can do. Of course reasonable people might disagree. In fact, the LA Times’ Blake Hennon skewered the episode here, though for my money, Hennon commits the same era regarding The Killing that one of my TV writer friends made about the last season of Homeland, that other brilliant, emotionally-heightened serious that captures the reality of life through the fine art of exaggeration: he imagines that the far-fetched isn’t ripe narrative fodder. True enough, a person in her right mind would not carry on an affair with terror suspect Nicholas Brody, the way Claire Dane’s Carrie does on Homeland, and she would not wander into the clutches of nefarious casino owners with something to hide — with no backup to boot — the way Mireille Enos’s Sarah Linden did in The Killing’s Season 2, but since when are characters in fiction in their right mind — and since when is creating a character, or story, that’s larger than life a narrative crime? What is fiction, after all, at least in literature and movies, if not always on TV, but a heightened, compacted, dare I say exaggerated rendering of reality, one that, by refusing to hew to the dictates of common sense, illumines the essential folly of the human condition in ways that a plodding mimicry of our lives (as the more cautious among us actually live it) cannot.